2016/1/13 Cycle Computer SGX-CA500 firmware has been updated. 2015/12/24 Cycle Computer SGX-CA500 firmware has been updated. 2015/10/27 Cycle Computer SGX-CA500 firmware has been updated. 2015/9/16 Notice of Update on Cyclo-Sphere. 2015/9/16 Cycle Computer SGX-CA500 firmware has been updated. 2015/8/17 Notice of Update on Cyclo-Sphere. 2015/6/23 Cycle Computer SGX-CA900 firmware has been updated. 2015/6/3 Cycle Computer SGX-CA500 firmware has been updated. 2015/5/26 Notice of Update on Cyclo-Sphere. 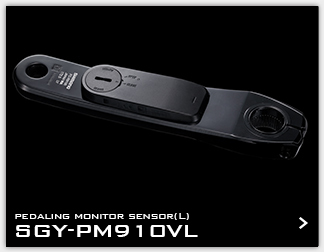 2015/5/20 A new page has been added for the new Pedaling Monitor Sensor products to be introduced in June. 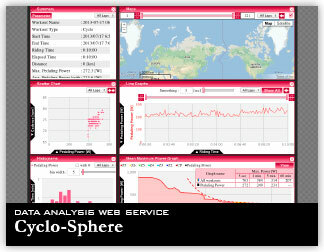 2015/2/17 Notice of Update on Cyclo-Sphere. 2015/2/17 Cycle Computer SGX-CA500 firmware has been updated. 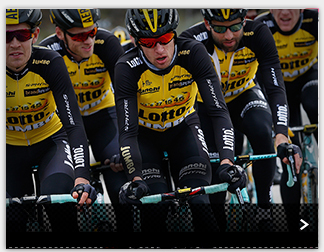 2015/2/5 Content relating to 2015 Season Pro-Team Partnerships Released. 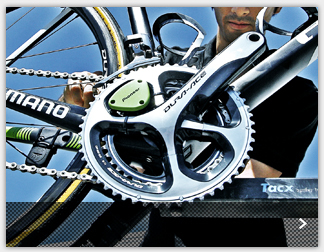 2015/2/5 Video and Online Manual for Chain Ring Replacement Released. 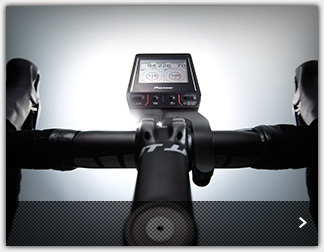 2015/1/14 Cycle Computer SGX-CA500 firmware has been updated. 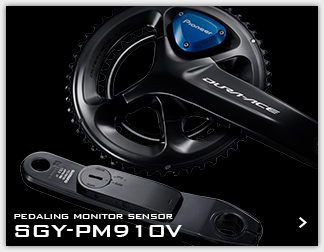 2015/1/8 Pioneer has entered into a sponsorship agreement with UCI World Tour Team"Team Giant Alpecin" for the 2015 Season.The Pioneer Pedaling Monitor System will be installed on all riders bikes to support the team in training and races. 2014/12/15 Regarding the transmission information display functions of the SGX-CA500 Di2 Cyclocomputer. 2014/12/10 Notice of Update on Cyclo-Sphere Website. 2014/12/10 Notice of Update on Cyclo-Sphere. 2014/12/10 Cycle Computer SGX-CA500 firmware has been updated. 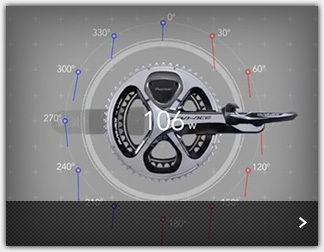 2014/10/10 Cycle Computer SGX-CA500 firmware has been updated. 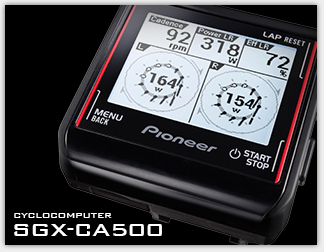 2014/10/6 Cycle Computer SGX-CA500 firmware has been updated. 2014/8/28 Introducing TT-type mounting bracket for the SGX-CA500 - designed exclusively for 22.2mm Aerobar type handlebars. 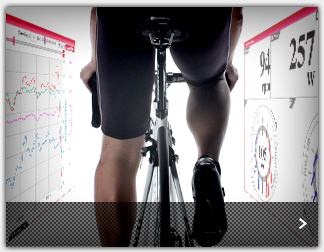 2014/7/30 Cycle Computer SGX-CA500 firmware has been updated. 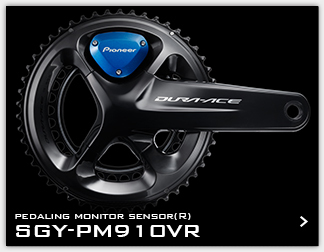 2014/7/30 Cycle Computer SGX-CA900 firmware has been updated.